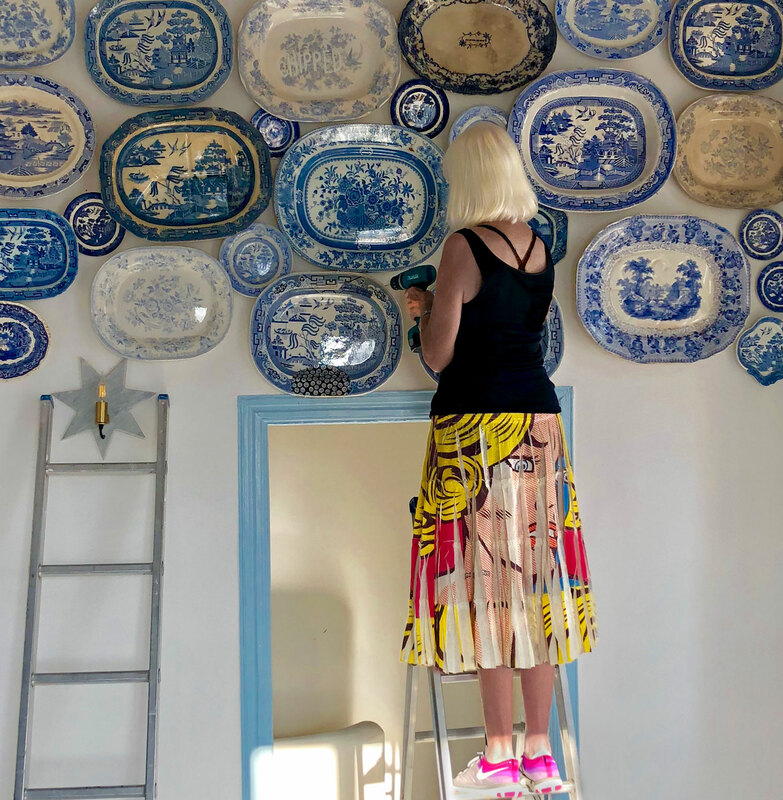 In September 2016 London-based Peter & Susan Marston chanced on Tinos Island. They were curious; travelling the Aegean for years no one had spoken of the beautiful quiet island next to Mykonos. Charmed, they viewed impossible ruined houses, then spotted a grand old house, sadly neglected, sheltered beneath a beautiful mountain, in a pretty village. It was love at first sight. People said it was the old Bishop's house, but no one had lived there for decades, and there were 17 shared owners. A year later, somehow, miraculously, the Marstons owned it and work began. And equally miraculously a year later it opened for visitors. It became a passion for Peter & Susan, designing, making and creating for the project. Many Tinos people helped and new friends were made. Tinos has local marble with exceptional skilled workers who made the floors, tables and even solid-marble basins for the bathrooms and kitchen. Traditional island pebble-patterns are laid on the terrace. The exterior is painted with natural limewash to which is added 'loulaki' (old-fashioned laundry blue) in time-honoured fashion. Inside it is now refreshed, comfortable and full of light. Outside on the repaired stone terraces stepping up towards the mountain are old mulberries (silk was produced at the house), walnuts, almonds and fruit trees. Our vines are an ancient and unique variety.